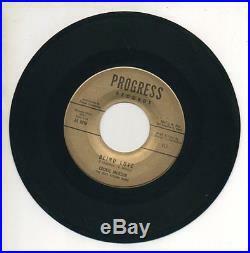 RARE 45 RPM RECORD COOKIE JACKSON “BLIND LOVE” “DO YOU STILL LOVE ME” DISC IS VISUALLY IN VG TO VG- CONDITION. GLOSSY WITH A FEW LIGHT SURFACE RUBBING/SCRATCHE S BUT SHOULD NOT AFFECT PLAY. LABELS ARE VERY CLEAN! The item “COOKIE JACKSON 45 RPM Record BLIND LOVE / DO YOU STILL LOVE ME Northern Soul VG” is in sale since Thursday, March 23, 2017. This item is in the category “Music\Records”. The seller is “dmnet” and is located in Arcadia, California. This item can be shipped worldwide.